Delegates at the recent FlyPharma Conference pick out collaboration as their main goal for the year ahead. 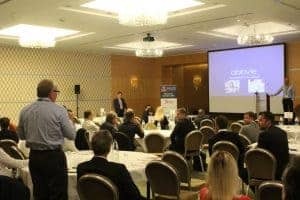 The FlyPharma Conference 2017 took place in Brussels, Belgium on 6-7 June in front of 100 top decision-makers within the pharmaceutical and logistics industries. Targeting the air cargo pharma supply chain, delegates were offered presentations, workshops and panel debates on today’s hot (and cold!) topics. With a focus on audience participation, the clear viewpoint in both sessions and delegate questions/answers was “collaboration is the key”. 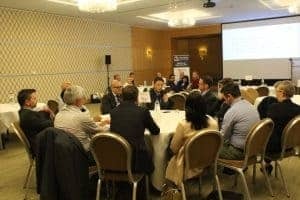 Much of the focus over the two days was how each pharma supply chain stakeholder could help eliminate the difficulties in cooperating with each other, share data and tighten up product protection – particularly temperature control. Delegates from airlines, airports, logistics, ground handling, pharma and regulation were represented, stimulating lively discussion. The opening keynote speech by Steef van Amersfoort, Regional Logistics Manager EMEA at AbbVie, set a strong benchmark as to the standards pharma and cargo expect of each other. He put forward a challenging goal: 100% successful transportation, with no temperature-controlled warnings ever being set off during a product’s journey. Some argued that this 100% benchmark was unachievable, but it spoke to the ambition of all those who attended that it could be considered an idealistic aim. Other topics included an update on IATA’s CEIV Pharma programme, tackling fake drugs in the supply chain, whether faster is always better, putting patients first while balancing stakeholder needs, the potential of drone delivery, time- and temperature-sensitive delivery, the evolution of pharma tradelanes, the introduction of new pharma handling models, serialisation, and many more. 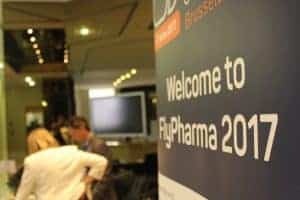 Attendee feedback has been positive, and while there is still a long way to go, the ideas and solutions generated at FlyPharma look likely to form the basis of collaborative progress over the coming years. Pharma news site Pharmafile.com was in attendance – read their article on the event here. The next FlyPharma Conference will take place on 5-6 June 2018. If you wish to learn more about the event or have any questions about its themes or speakers, contact Angela Cottrell, Events Director at angela@samedanltd.com.